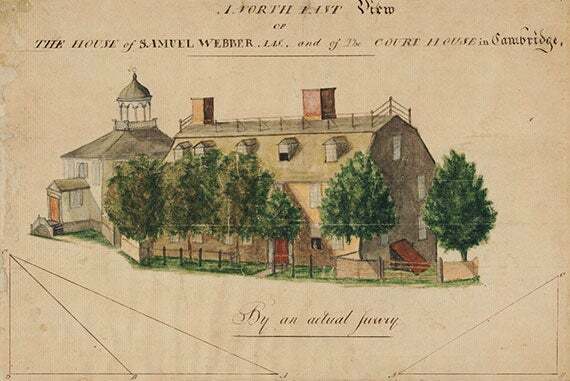 Harvard's Colonial North American Project website includes 150,000 images of diaries, journals, notebooks, and other rare documents from the 17th and 18th centuries. 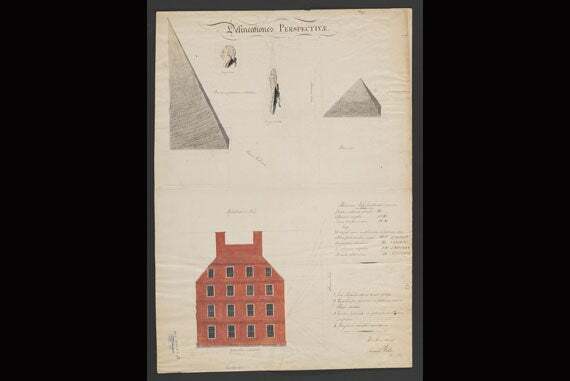 The letter to his sister Mary, shedding light on Hancock’s raw emotions as he studied in Cambridge in the years before the Revolution, is a sample of the riches in manuscripts and archival material available online at The Colonial North American Project at Harvard University. 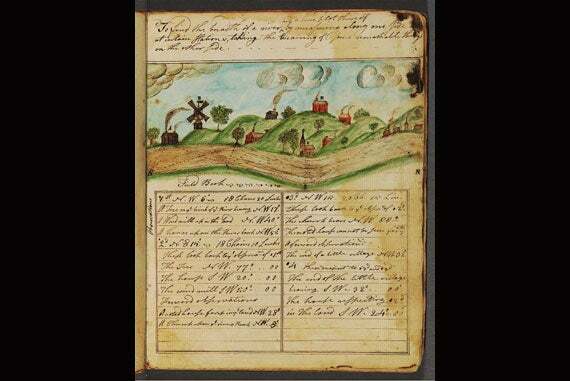 Launched Monday, the website of the Colonial North American Project so far includes 150,000 images of diaries, journals, notebooks, and other rare documents from the 17th and 18th centuries. Part of the University’s endeavor to digitize all its collections and make them available free of charge, the Colonial North American Project is unique because of its scale. According to a 2011 survey, the material is scattered through 12 repositories — from Houghton Library to the Harvard University Archives to Loeb Music Library. In elegant script, the documents provide a glimpse into the life of North American colonies through the eyes of real people who wrote about family affairs and daily life but also about slavery, Native Americans, education, science, and revolution. “We’re bringing history alive,” said Franziska Frey, the Malloy-Rabinowitz Preservation Librarian and head of Preservation and Digital Imaging Services. In many of the diaries and journals, fanciful yet vivid illustrations accompany meticulous details of life and death, painting a dramatic picture of the Colonial era. For example, Harvard mathematics Professor John Winthrop kept account of all the deaths, in a “bill of mortality,” in Cambridge between 1759 and 1768. He wrote there were “235 deaths in 10 years.” Among the most common causes, he noted, were accidents, fever, consumption, and dysentery. 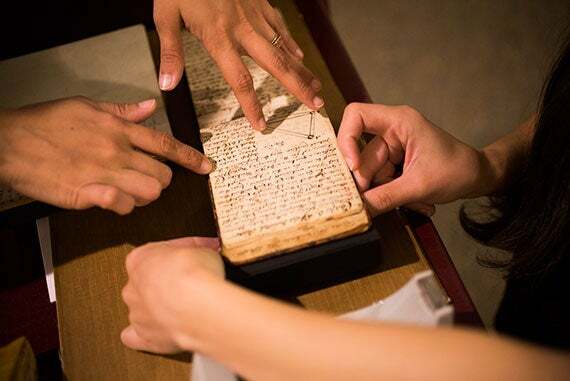 “We’re bringing history alive,” said Franziska Frey, who is overseeing the digitization process and the overall project. 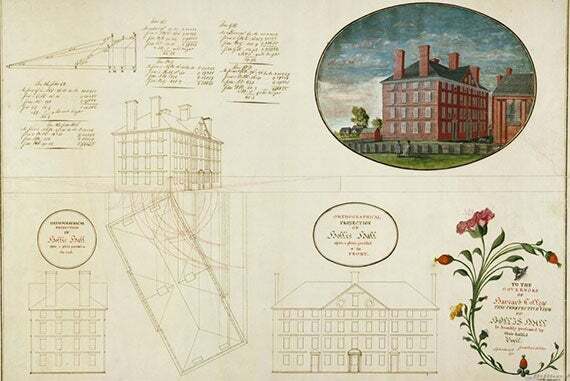 The Winthrop family documents are among those showcased in the “Opening New Worlds” exhibit in Pusey Library, to run through March. The exhibit includes a notebook with lecture summaries for a physics course given by Winthrop. It also features handwritten sermons by the Rev. Samuel Willard, who led Harvard in the early 18th century, as well as the teenage Hancock’s letter. Student notebooks from the era, many distinguished by their illustrations, are also part of the exhibit. 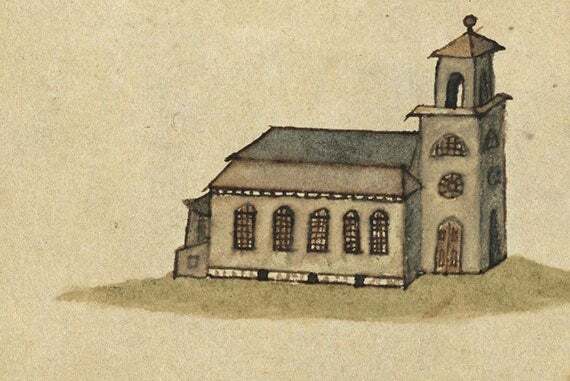 In his math notebook from 1782, Joshua Green included a watercolor rendering of a quaint village crossed by a river to explain how to survey a river. On a recent morning, Saira Haqqi and Abigail Merritt, interns with the Weissman Preservation Center, handled some of those notebooks and relished the experience. 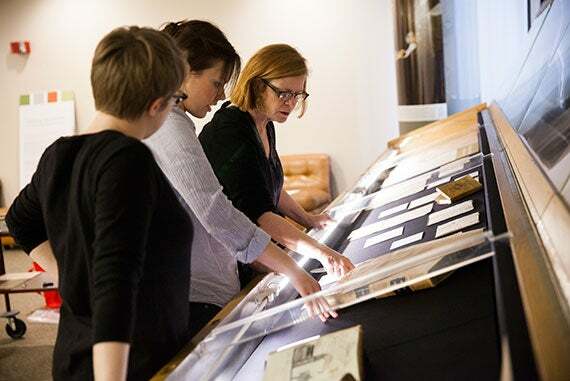 With 150,000 images, the Colonial North American Project, supported by the Arcadia Fund and the Sidney Verba Fund, is one-third complete, said Megan Sniffin-Marinoff, University archivist. 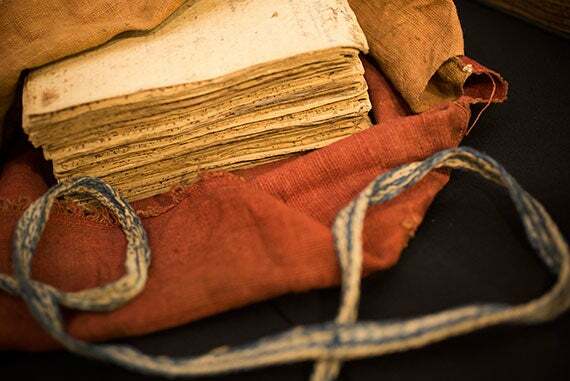 Work is ongoing at several libraries to digitize the remaining 300,000 images of Colonial North American manuscripts in 1,654 collections. A panel with presentations on the history and scope of the Colonial North American Project will be held at 3:30 p.m. Thursday at Lamont Library. In what American Photographer magazine called one of the “10 pictures that changed America,” Bruce Weber shot an Olympic pole vaulter named Tom Hintnaus reclining against a white wall on the island of Santorini, Greece, to introduce Calvin Klein’s new line of men’s underwear in 1982.